Falae also announced he will no longer be actively involved in politics. 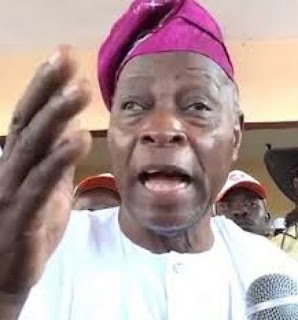 On why he has decided to quit politics and stepped down as Chairman, Falae cited health challenge as a major reason for his action, TVC reports. Meanwhile, recall the Social Democratic Party (SDP) on Thursday announced its withdrawal from the Feb. 16, presidential election. The party also adopted President Muhammadu Buhari as its candidate. According to NAN, the decision was part of the resolutions of the National Executive Committee (NEC) meeting of the party in Abuja on Thursday. The NEC said, “we cannot campaign, we cannot do anything because of the protracted legal issue and we feel that it is impeccable to technically withdraw from the presidential election.